Haggling for an auto-rickshaw ride is the way things are done in India. Mostly they overcharge and aren’t even considered too safe, owing to incidents that have happened to people aboard them. If you are travelling here, then you would know to take precautions. One such precaution is the Chennai Auto app. Chennai Auto might be the best companion for deserted roads and late night travel. In light of recent incidents, it is one of the things that might help you in an emergency. The app is designed for travel in the city of Chennai and displays the roads, the ways and even contacts the Chennai Police helpline. The advantage you have with the Chennai Auto app is that it can easily work offline and you can easily use the Live Auto feature on the ride. You can use this feature by tapping on a marker to know where you are. There is also an SOS feature built in, which will connect you to 3 of your emergency numbers. 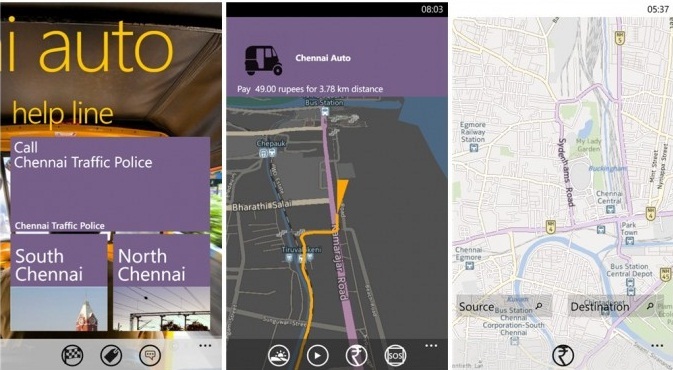 Besides this, you can also use the Chennai Auto app to calculate the distance of your travel and fare too. You can set the fare according to the day and night modes. If you regularly travel by auto in the city, this app is worth looking into. Sony Xperia Canopus gets certified in Japan; Could be the Xperia Z2?